Blue Daisy Designs: A relaxing Sunday! So just taking it easy today. 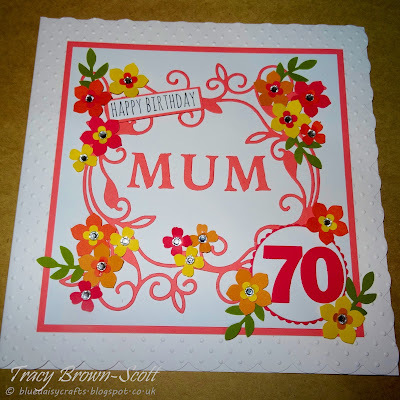 It's a friends mums 70th soon so I busied myself making a card. She love flowers so bright and cheery flowers it is! Bright cheerful card. Love it.